Despite protests at UC Berkeley to replace Bill Maher as commencement speaker due to previous Islamophobic comments, the school went ahead and allowed the political commentator to speak at their fall 2014 commencement ceremony. At Rutgers University, community backlash over former Secretary of State Condoleezza Rice’s support of waterboarding and the Iraq War caused her to back out of giving an address at their commencement ceremony. 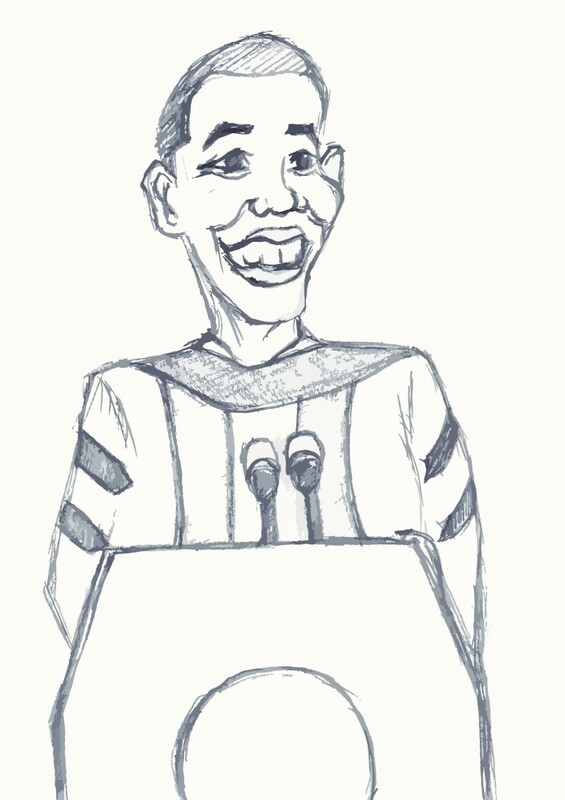 In recent years, universities have taken to inviting a number of prominent intellectuals to speak at their commencement ceremonies. Prolific individuals like Amy Poehler, Joss Whedon, and Maria Shriver have donned caps and gowns and attested to the strength and character of the graduating class whom they are about to present. However, many universities have come under fire for their choices after picking celebrities and politicians previously at the heart of controversies. But these commencement speakers aren’t here to preach their views on controversial topics (or so we hope). A cookie-cutter commencement speech normally touches on celebrating the achievements of the graduating class in a generic way, expressing wishes for their continued success, a mysterious comment on how times are changing, and how young adults will be faced with even greater challenges than before. The speaker goes on to implore the students to be the change, praising how far they’ve come and wishing them well. They often make references to current events, as well; during President Barack Obama’s commencement speech at UC Irvine last year, he referenced a number of talking points that were a focus of his administration. Bill and Melinda Gates, at Stanford University’s 2014 commencement ceremony, incorporated comments on their experiences in the tech world and as philanthropists and advocates for remedying poverty. Simply because these speakers are unlikable doesn’t mean that they’re not worthy. The administrations select them for a reason, whether it’s because they symbolize the values of the university or serve their mission statement well. Despite being controversial in some way, their legacy and reputation precedes them, and their values sync with what the school aims to bring to its students. Speakers bring fame and media attention to the school, making their special day, well, that much more special. People will unfortunately find fault with the speaker, regardless of who it is. Just as some people were bound to be irritated when they heard that Obama was speaking, some are likely as angered by others speaking. Some make the argument that this is a case in which we should not invite such speakers, and others make the counter-argument that doing so is censorship and a violation of our rights to free speech. But this isn’t a question of free speech—the First Amendment deals solely with ensuring that people don’t face federal punishment for what they say, not the backlash from the community over what they are hearing. In a changing world, where everything you say, do, or think is often documented as soon as it happens, someone is bound to react negatively about it. However, instead of complaining, we should take the initiative to affect further change. Why not encourage commencement speakers to stay engaged with their audience? In addition to giving the speech (that many people tune out in favor of counting down the time it takes until they can just walk the stage and get it over with), we should invite speakers to give talks and hold discussions on the topics that make them controversial. Passionate students will attend, enriching the experiences of everyone involved if they are able to change the minds of those speaking, or maybe exploring an issue in an in-depth way that results in fruitful conversation for everyone involved. If we stay put and shut off having conversation, we don’t fix anything. We should value what the community has to say about the speakers who come and interact with the graduating class, and what these speakers have to say to the class. While it’s vital that we express our piece on the controversies that follow them and understand the multiple perspectives in the conversation, we must also remember that they’re here for something else: to send you off with your degree (or the piece of paper they hand you that looks like one).